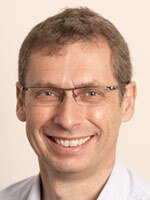 Mark Titley is Chevron Energy Technology’s Perth Facilities Engineering Unit and Global Technology Centre Manager. Mark has a BSc in Chemical Engineering (from Loughborough University, England in 1985). He has over 30 years’ experience in oil and gas, refining and petrochemicals and has held a variety of roles in his career. These include roles in technology development, contract negotiation and projects. His technology roles have recently included Chevron’s manager of the Western Australian Energy Research Alliance (WA:ERA). The WA:ERA partners are CSIRO, Curtin University and UWA. Mark’s project experience includes 10 mega or major projects, both with Chevron and other companies, and covers all phases of their development: from initial concept, through design, commissioning and optimisation, to life extension. He is an expert in applying Inherent Safety during a project’s design to reduce Process Safety risk.